The sentiment of the “Honkler” meme has also appeared in written format on venues where images won’t fit. 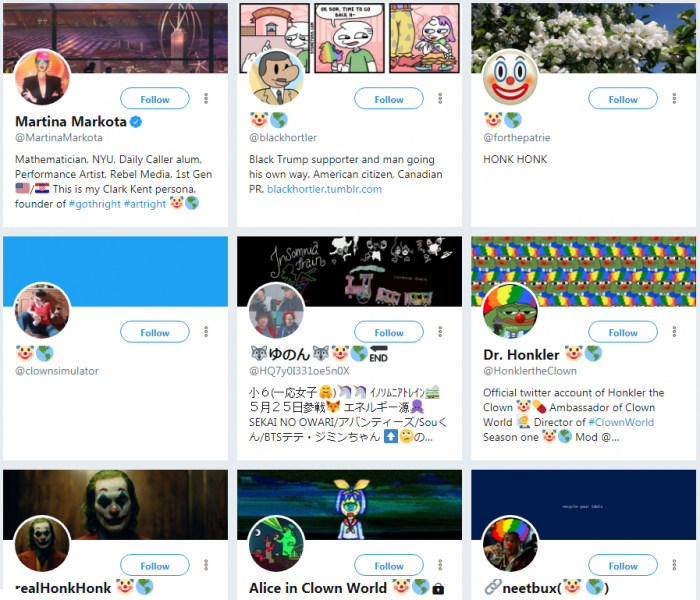 A clown emoji and a globe emoji together has been used to convey the phrase “clown world” where the phrase isn’t written out fully. Such references can be found in numerous Twitter profiles, including that of Rebel Media personality Martina Markota, who Salon reported in 2017 as having ties to the far-right. 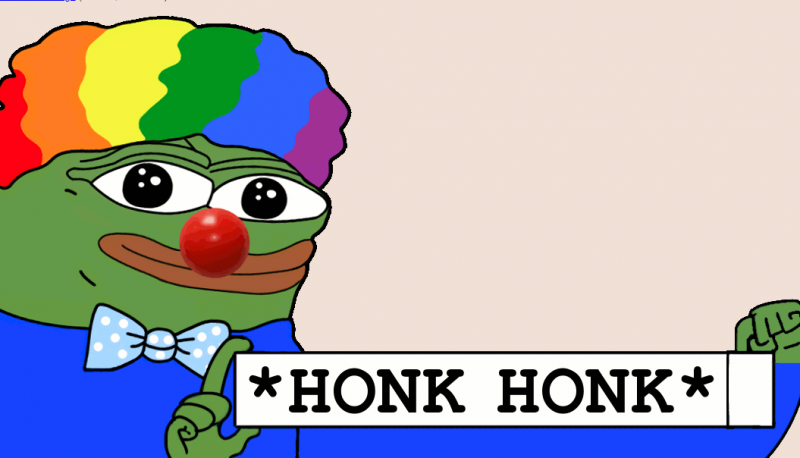 “Honk Honk” memes were also used by “Microchip”—a pseudonym used by a far-right troll who made waves propagandizing in favor of Donald Trump during the 2016 election— to replace slurs and curse words in his posts on Gab. A March 28 episode of “Goy Talk” opens with a heavily edited video featuring the Honkler character, and one of the display images used for a show host is edited in “Honkler” style. 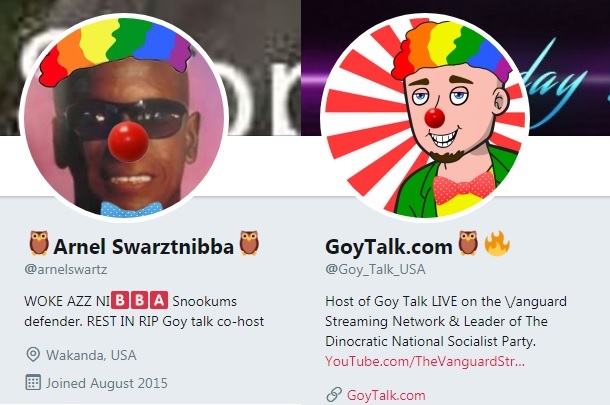 Additionally, the hosts of “Goy Talk” have modified their profiles on Twitter to include clown imagery. 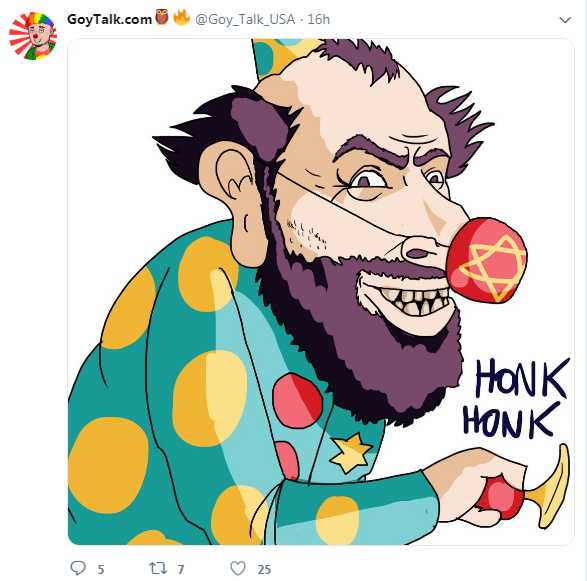 The Twitter account for “Goy Talk” posted an image yesterday of an anti-Semitic meme modified to depict a racist caricature as a clown.